mei 2012 | 234 blz. 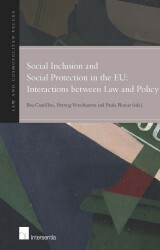 The interaction between legal instruments and policy coordination in the field of social inclusion and social protection constitutes the theme of this book. The contributions essentially inquire whether there is any interaction at all, or if the two realms of law and policy of the EU function in parallel. If there is any sort of interchange between the two, in what areas is it taking place, and what does it result into?